The growth of the internet led to a new usage of the word (the meme of “meme”!) by Mike Godwin in Wired (1994), as an image or video that spreads via social media and other means “virally,” a term Dawkins also used to describe how memes replicate. 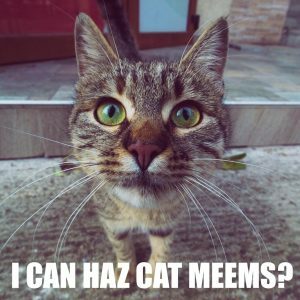 Know Your Meme is a crowdsourced database of popular memes, owned by a company that created many early memes. Meme histories are tracked from first appearance, providing a reference of viral memes. Image-based memes involve, primarily, an image created by somebody. 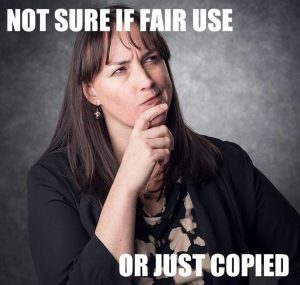 Sometimes the meme creator is also the image creator, but often, when involving movie stills or images of celebrities, the image’s copyright is owned by someone else. American copyright law gives creators the exclusive rights of reproduction, modification, distribution, performance, and display. The viral spread of a meme infringes on theses protections as the original image is modified and then displayed, distributed and reproduced when posted and reposted. There is no official definitive answer for whether a use can be considered fair, as every case must be judged on its own merits, but there are some types of use generally allowed under fair use, including criticism and commentary, parody, journalism, education, and research. When it comes to memes, an important issue is the amount used of the original work. In First World Problems: A Fair Use Analysis of Internet Memes (2013), Ronak Patel says the amount of the work used in the meme probably supports the meme creators if the image was a still of another work, usually making up a small percentage of the original, but not if the original work was a photograph in which the whole of the work was being used. 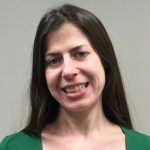 Stacey M. Lantagne expands on this in Famous on the Internet: The Spectrum of Internet Memes and the Legal Challenge of Evolving Methods of Communication (2017), in which she identifies use ranging from “static,” a relatively straightforward reproduction of an image, to “mutating,” in which the role of the internet is directly responsible for the meme’s alteration from the original to the point that “[m]utating memes, because of their unique characteristics, are more like ideas,” thus unprotected under copyright. Dawkins acknowledged this point in 2013 when he observed that internet memes, unlike genes, were actively manipulated by human creativity to appear different from the original. Lantagne and Patel agree on the inability of copyright law to fully address the subject of memes, given their cultural importance as what Lantagne calls “pure engines of expression with their own symbolic vocabulary” while also relying, in Patel’s words, on “massive unauthorized copying” to attain such importance. The original content creator, meme creator, and subject of the image/meme may all have conflicting ideas about the value of the meme, which can often lead to legal disputes. Know Your Meme must sometimes take down posts due to cease-and-desist letters from copyright holders due to the Digital Millennium Copyright Act (DMCA). Similarly, the DMCA was used to quash parodies of the German World War II movie “Downfall.” In 2010, the movie’s production company, Constantin Films, started pulling these parodies from YouTube, to which meme creators had little recourse. However, Constantin Films did not sue anyone, so it is unknown whether the parodies might have been considered fair use. When memes or the subjects of a meme are used for commercial purposes without permission, the meme creator may sue, as the effect of the commercial use on the market value of the original meme usually prevents a finding of fair use. In 2013, the owners of the cats featured in the “Nyan Cat” and “Keyboard Cat” memes won a lawsuit against Warner Bros. and 5th Cell Media for respectively distributing and producing a video game using images of their cats. Meme creators and posters have been sued for using people’s images without permission, especially those who were not already public figures. In 2003, the parents of the unwilling star of the “Star Wars Kid” video sued their son’s classmates for posting the video online. Though the suit was settled, the video did not disappear, and the Star Wars Kid learned to deal with his fame. In 2016, the parents of another unwilling subject sued the image’s creator, a news organization for publishing the image in a story about it, and a dancer on the show “Dancing With the Stars,” who the suit contended contributed to the image’s spread and the subject’s emotional distress by reposting the image with negative comments on social media. The photographer and news organization settled, but the dancer’s motion to dismiss was denied. Lantagne notes that if memes are considered a form of communication, they are also subject to the limits placed on speech including the rights of others to privacy. Thank you for this article! I really enjoyed it!